Aloha from Aulani Resort! 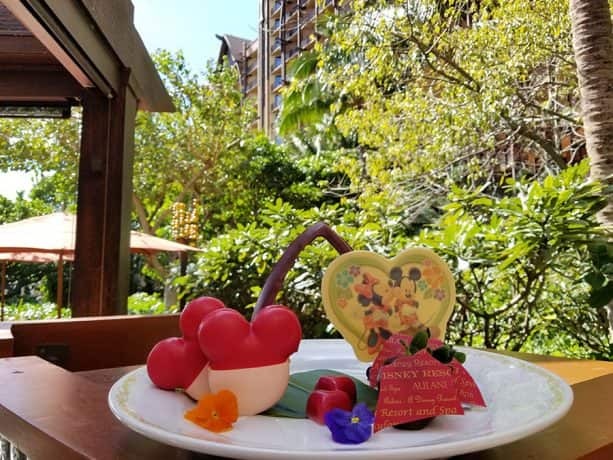 If you are celebrating Valentine’s Day here at Aulani, A Disney Resort & Spa, or want to share some yummy treats with your loved ones who are enjoying this holiday of love at the resort, we have wonderfully edible offerings available! Chef Carolyn Portuondo has created special in-room amenities, for purchase, offered now through Feb. 16. To order, guests may contact Guests Services by calling (808) 674-6200. All orders will be delivered between the hours of 9 a.m. and 9 p.m. HST, and please allow four hours’ notice on your order. A delivery charge, gratuity and sales tax will be applied to each order as a Private Dining Amenity. For those staying at Aulani Resort, be on the lookout as Chef Carolyn is also working on some special Valentine’s dessert offerings that will be available at Ulu Cafe! Yum! And if you are traveling with your keiki, ages 3-12, who would also like to enjoy a special holiday offering, at Aunty’s Beach House we are offering an enhanced, exclusive program to celebrate Valentine’s Day! 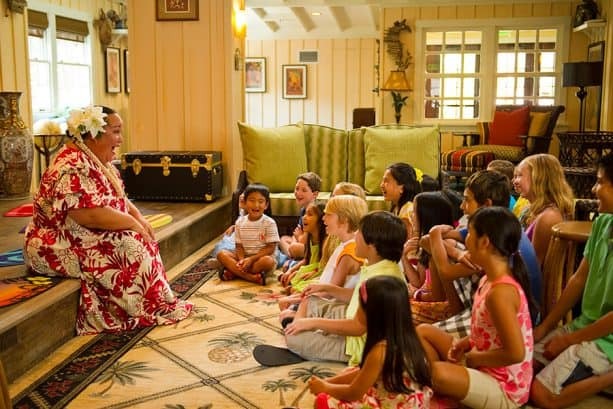 The Hawaiian word for love is aloha — and keiki can share in the aloha of Valentine’s Day at “Celebrate Aloha at Aunty’s Beach House” with Valentine’s crafts, activities and our magical Disney Friends. This special program also includes a keepsake photo with these magical Disney Friends. The special program is offered Feb. 15, 16, 19, 22 and 23 from 6-7 p.m. HST, with check-in 30 minutes prior to the start of the program. Reservations to take part in this offering may be made by calling Guest Services. And as with any use of this amazing children’s club, please be sure your child is registered to attend Aunty’s Beach House at least 48 hours in advance. The complimentary use of Aunty’s Beach House, included in your stay, also remains available during normal operating hours. Wherever you are celebrating, we wish you and your loved ones a “happy day of love,” or as we say in Hawai‘i, Hau‘oli La Pili aloha! Vía https://disneyparks.disney.go.com/blog/2019/02/valentines-day-treats-at-aulani-a-disney-resort-spa/ ʕ ᴖᴥᴖʔ Subscribe to me here on Youtube for more fun!